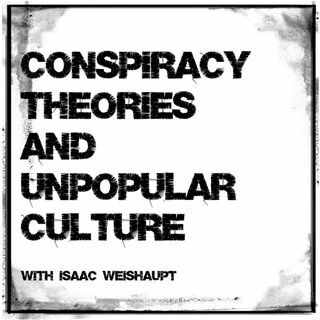 On today's episode of the Conspiracy Theories and Unpopular Culture podcast we take a listen to a show I did with Lance White aka The Zany Mystic! The show gets into Illuminati symbolism hidden in entertainment as we unpack many ideas that come with the digital matrix, ritual magick and the Revelation of the Method! Patreon supporters get some bonus content where we explore a bit on Crossfit, High Fructose Corn Syrup and the battle with Big Soda! There's also an interesting ... See More postulation about birds and the occult; brought up by American Horror Story: Apocalypse and tying into Charles Manson and Marjorie Cameron!